Spencer’s Fresh Markets was the top bidder in a bankruptcy auction for the Arroyo Grande Haggen’s location, according to court documents. 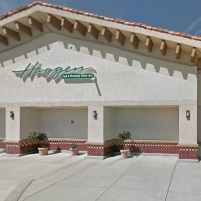 In total, 17 locations including the Arroyo Grande site were pulled from the auction because of lease issues between two Haggen entities, OPCO and PROPCO. Even so, the highest bidders are still in line to purchase those locations after the court irons out issues with the lease holder’s contracts. Prior to a three-day auction held earlier this week in Los Angeles, the bankruptcy court received offers from Smart & Final to purchase 28 stores including locations at Johnson Avenue in San Luis Obispo, Creston Road in Paso Robles, El Camino Real in Atascadero, State Street in Santa Barbara and Linden Avenue in Carpinteria. Those offers have since been approved. The Foothill Boulevard Haggen in San Luis Obispo and the Los Osos Haggen were included in the auction, but had no baseline bids. Spencer’s Fresh Markets is the only locally owned and operated grocer bidding on Haggen locations in San Luis Obispo County. In Santa Barbara County, Albertsons was the high bidder on the H Street store in Lompoc for $300,000 and the Turnpike Road store in Goleta for $1.6 million. Sprouts Market made a leading bid of $1 million on the Fairview Avenue Goleta location and Roxy’s Market made a top bid of $75,000 for the Cliff Drive Santa Barbara location. Haggen announced earlier this week that it plans to sell 32 “core” stores in the Pacific Northwest in a separate auction in January. Don’t miss updates on the Haggen bankruptcy, like CCN on Facebook. Trader Joe’s would be PERFECT for the vacancy at 1130 Los Osos Valley Road in Los Osos! I LOVE TJ’s!!! Who got a Gelson’s? Do you live in LA like SLO’s mayor? Funny how Spencers put up a fight to not bring a Food for Less to Arroyo Grande, then leaves it’s sight where Smart and Final is now. Now they want to come back? What type of business is that? Didn’t support them then and will not support them now. I know many will not shop at Spencer’s due to the dirty tricks John Spencer played back when he had a store at the current Smart and Final location. WELCOME BACK SPENCERS! We’re so glad you’re coming home. I hope Spencers gets the AG location. Love that store.